We speak with unique duo Neverness surrounding their latest release on Mioli Music! We find out more about how their new release is different to that of the past and the inspiration behind it…. We feel that this release features a nice range of sounds and emotions, the tracks all have a relative feeling behind them but at the same time are uniquely separate sounding. Neverness have captured a particular vibe and power with this release that encompasses a curated theme as a whole while the remixes from Emanate and U-SRD add an intriguing element that broadens the message. Our last release was an EP from Tigerskin/Dub Taylor. He’s highly regarded as a maestro and a legendary producer in our industry with a loyal following of DJ’s and supporters who consider him one of the best. His EP was a easy for us to gain notoriety because of his already established fan base. With this new EP we are introducing a debut release from Neverness who have no previous exposure or recognition under this name. We’re really looking forward to seeing where this release goes. From Mioli Music – As Mioli music label heads, the duo Emanate wanted to pay respect to the sound artistry and admiration they feel for Neverness and this EP. We also wanted to bring together and create a platform for artists in our own town. This is why the second remix was perfectly aligned to be created by the duo, U-SRD. From Neverness – The tracks are from different periods of our production, so the track names mean different things. 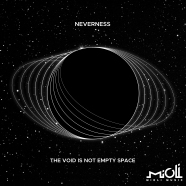 Only ‘’Void Is Not Empty Space’’ is related to our project name so we have chosen that name for the EP. So in nutshell, there is no single inspiration in particular, but many from different periods of time. There are so many clubs that we (Emanate) would love to play and hear these tracks, places like, Festivals, Watergate, Printworks, Panorama Bar, Fabric, Warung Beach and Output. We’ve played these tracks quite a bit already in SF at Public Works, Monarch, Halcyon, Undergrounds and on the road in Detroit and NYC.